Baseball cap in blue patchwork. Ideal for this summer, it brings an original touch to your look. 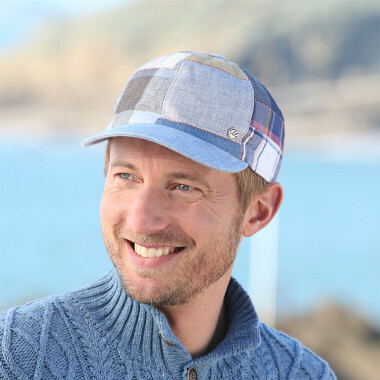 Beautiful cap made entirely of patchwork with its baseball shape, it is perfect for the summer. The visor matches the patchwork. The inside of the cap is lined with polka dot fabric. Its size is adjustable using the scratch band at the back of the cap. Be aware that each model is unique and has an appearance that can vary depending on the pieces of fabric.